Flexibility and performance are two of the most important features most of us demand when purchasing any appliance for the home. This is true for anyone who is looking for the perfect electric kettle to heat water for their morning cup of green tea, to add to instant entrees, or to make a perfect bowl of instant soup. An electric kettle might not be as essential for some people as it is for others but for those who do want a more convenient and faster way to heat water, you want to get one of the best electric kettles available. But how do you choose it? As more people have made the choice to purchase a separate appliance to heat their water, manufacturers have stepped up their offerings to make their electric kettles more convenient and versatile than ever. Since it is possible to boil water in a tea kettle on the stove or heat it in the microwave, the best electric kettles have been upgraded to add water temperature control. When you have a choice in the temperature of the water without the variables that make using standard methods unreliable, it is easier to get the custom results you need for the perfect cup of tea. Once you set the kettle to reach the ideal temperature, you never have to worry about getting distracted and letting the water boil out of control. The best electric kettles heat water quickly so you don’t have to wait as long as you would to warm up the stove and do it the old-fashioned way. To make the most of your electric kettles fast-heating feature, be sure to choose one with a stay-cool handle that you can grab without the risk of burning your hand. Another handy feature is a no-drip spout. The reason for getting an electric kettle in the first place is to heat water fast. You don’t want to turn it into a safety hazard by making it difficult to handle. It’s easy to get caught up in features and lose track of how many people in your household will be using the electric kettle. If you want to fix a hot cup of coffee or tea in the morning, the best electric kettles for you might be the 1-liter size. 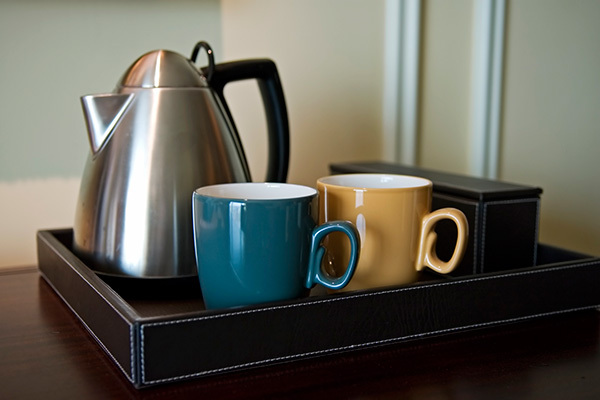 If there are two of you and you enjoy a few cups to get going, then a bigger sized kettle is best. You should be able to set the temperature and keep the water optimum the entire time you are using it. Don’t mistake a model with too many features as being the best quality kettle for you. Check to see which models have the most automatic features while still allowing you to set and maintain the temperature. An electric kettle with a built-in clock might sound like a good feature, but these models are not always the best electric kettles for those of us who do better with simplicity. A better choice might be a kettle with auto shut-off in case you rush off and forget to turn off the kettle.